FILE PHOTO Bill Nojay, a sharp conservative voice in the Rochester area, died last week. Love him or leave him, he did care about the city. Bill Nojay was one of the Rochester area's leading conservative voices, and with good reason: the man left an impression, whether you agreed with him or not. Nojay, a State Assembly member, talk radio host, and former head of the Rochester Genesee Regional Transit Authority, killed himself last week. The 59-year-old stunned the community by shooting himself at Rochester's Riverside Cemetery. Nojay was a firebrand who wasn't afraid to publicly and sharply attack his opponents. He was polarizing, but he seemed to enjoy engaging his critics -- CITY included -- to explain his ideas and positions. He was also an early supporter of Republican presidential candidate Donald Trump; earlier this year, the New York Times reported that he was instrumental in getting Trump to run. Many Rochesterians remember Nojay as the face of the Rochester Central Station proposal, which called for a new downtown bus station paired with commercial and residential components. Throughout the push, he quarreled with city leaders and Representative Louise Slaughter. He cared about the City of Rochester, which is a feeling that you don't always get from other local Republicans. 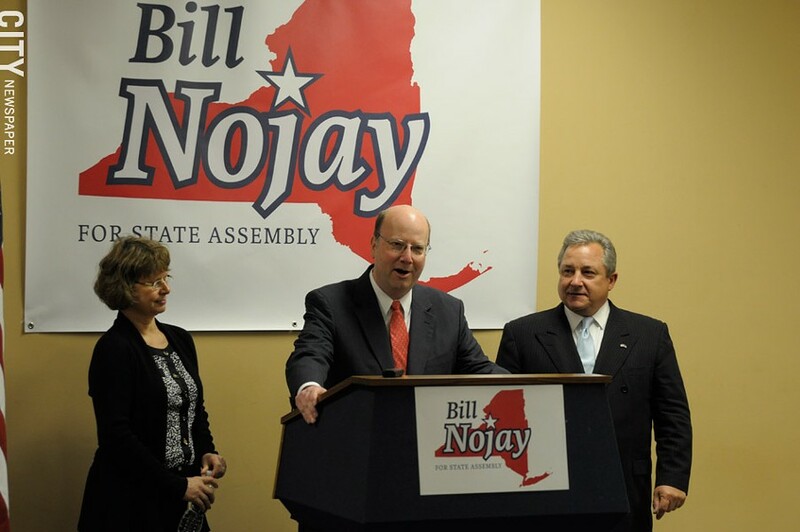 Nojay railed against gun control legislation, particularly New York's SAFE Act, and served as the plaintiff in an unsuccessful federal lawsuit to overturn the law. The day that he killed himself, Nojay was supposed to appear in federal court to answer fraud charges which reportedly related to his handling of a trust account for architect Bud DeWolff. He was a defendant in a fraud trial in Cambodia and he faced scrutiny over his role in a company that won a Rochester school district construction contract. Nojay was also a candidate in Tuesday's Republican primary for the 133rd Assembly District against Rick Milne, the mayor of Honeoye Falls. His named stayed on the ballot after his death.